29 September 2014: IPSN, the Institute for the Protection of Natural Health (Institut pour la Protection de la Santé Naturelle), based in Brussels, in conjunction with French oncologist and surgeon Professor Henri Joyeux, launched a French petition against the HPV vaccines Gardasil and Cervarix. The petition is already doing quite well with over 316,000 signatures (and steadily rising) in a little over a week. Originally, the goal was to reach 500,000 signatures then submit the petition to government authorities in France. However, interest in this petition has expanded to other countries where medical professionals, scientists and medical consumers are also seriously questioning the sanity of universal HPV vaccination programs. Due to so many requests from people outside France who wished to sign the petition, Professor Joyeux and the Institute for the Protection of Natural Health have agreed to open their petition to every country in the world. Please consider demonstrating your solidarity with the people of France by adding your signature to this petition. If you have already decided HPV vaccines are of questionable value please sign the petition here. You need only fill in 4 boxes: your first name, last name, postal code (if you do not live in France, please add the two letter abbreviation for your country before the postal code, eg. GB for the UK, DE for Germany, US for the United States, etc…) and your email address. The boxes to tick after that are to indicate: 1) whether you want to be kept informed (in French of course) of petition progress and 2) whether you would like information (in French) on natural health. Once you have done this, simply click on the green box to submit your signature. The organizers of this petition understand that HPV vaccines have not been proven to be safe, affordable, necessary or effective. Professor Joyeux explains exactly why in the video text below. The video is in French and can be accessed at the end of this article. Helen Kimball-Brooke has kindly provided the English translation of the content. § that the starting age for vaccination of both girls and little boys be lowered to 9. 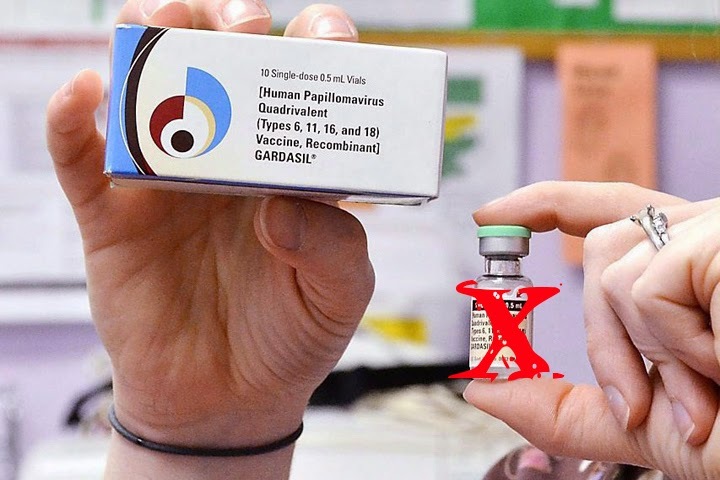 However, just like any medicine prescribed to a person in good health and even more so to children, the two current HPV vaccines, Gardasil® and Cervarix® bring with them the risk of serious adverse effects. In addition, the authorities fail to mention to us that the protection against cervical cancer conferred by these vaccines is not 100%. In fact, protection from Gardasil® and Cervarix® is no more than 70%, leaving 30% risk of cancer. Even if we could be certain of their effectiveness, these anti-viral vaccines should really only be administered to high-risk populations. The HPV virus is transmitted primarily through sexual relations. Do not allow the authorities to apply an inappropriate health measure to your children! 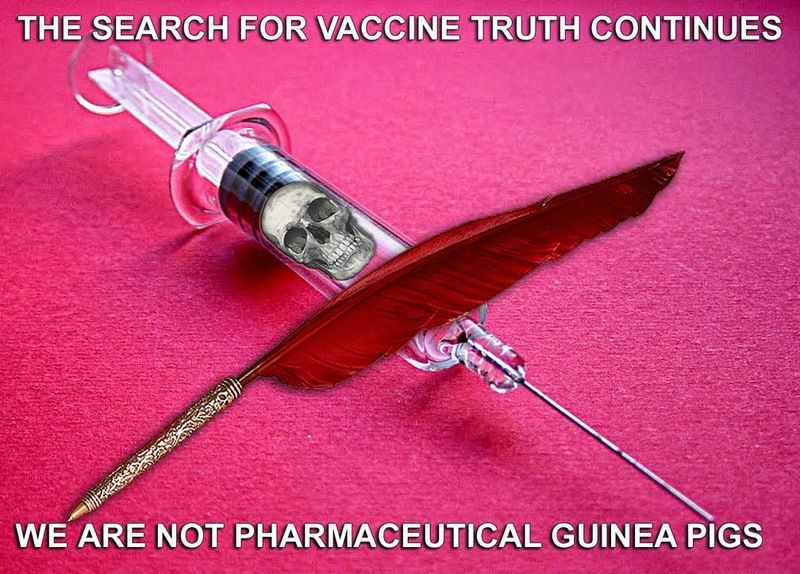 Sign our petition demanding a moratorium on these vaccines which should not be imposed in our schools without providing prior comprehensive and transparent information to the parents. “Analysis of the pharmacovigilance data for this vaccine revealed 26,675 serious adverse effects, 113 of which were cases of multiple sclerosis. Many of these young schoolgirls, now disabled for life, were unnecessarily vaccinated with Gardasil when they were not in any way part of the high-risk population. Sign the petition to protect your child from the same fate. In Austria, following the death of a young woman vaccinated with Gardasil, a report was published indicating that the long-term effectiveness of such a vaccination would be “totally negligible”. The Austrian Health Minister, Dr. Andrea Kdolsky, then decided to withdraw HPV vaccines from the official schedule, to stop reimbursing them and to encourage regular Pap smear screening instead. On the 24th of January 2008, the European Medicines Agency (EMEA) announced that some women previously vaccinated with Gardasil had died. It is therefore beyond imprudent to want to vaccinate all children, across the board, against HPV: it is totally irresponsible. As early as February 2007, interviews aired on American television reported serious complications, told the tragic stories of living Gardasil victims and showed photos of young women who had died following vaccination with Gardasil. In 2013, the Japanese authorities decided to stop recommending this vaccine. In France, a lawsuit was filed against Sanofi, the manufacturer of the vaccine, by young Océane Bourguignon and other young girls. They all suffered extremely serious brain and spinal cord damage after being vaccinated with Gardasil. “We do not yet know its effectiveness. We do not yet know the risks” warned Dr. Jean-Paul Hamon, chair of the French Doctors Association, on French TV channel TF1. Video clip: “We do not yet know its effectiveness. We do not yet know the risks. This is 100% true. If you or your child thinks that you may be infected with HPV, go to your doctor and get a smear test. If precancerous lesions are found, they can definitely be treated. But above all, no vaccine! It could even increase your risks of getting cancer. 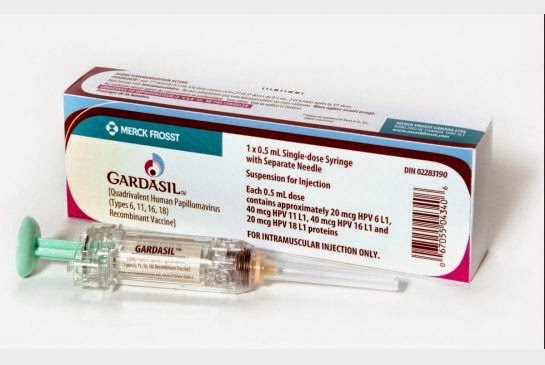 Two analyses of the vaccine’s impact on women already infected with HPV before they were vaccinated revealed an increase in the number of high-grade precancerous cervical lesions in the Gardasil® group compared with the unvaccinated placebo group. Fortunately, the difference was not significant but this proves that in any case, the vaccine is useless if you are already infected, which is not surprising. Do you want your children to be Guinea pigs? It is therefore totally premature and potentially dangerous to impose a widespread vaccination campaign in French schools, especially when the recipients are young and very vulnerable children. Not only can it cause accidents but widespread vaccination of young girls may result in a drop in Pap smear screening which we know can save lives. Certain women will think “I am vaccinated, I am protected” which is in fact scientifically false. This is why in March 2014, more than 700 French doctors signed a petition demanding a Parliamentary Committee of Enquiry into this vaccine. One of them was pulmonologist Dr. Irène Frachon, courageous revealer of the Mediator scandal. These doctors have already instilled fear in the government. to triumph by making this message go viral and gathering millions of grassroots signatures on this petition. Of course the Big Pharma lobbies will put up a serious fight. We know them well with their enormous advertising resources. France represents a massive market for them every year. The vaccine manufacturers will pull out all the stops to make us think that their products are safe… grinning all the way to the bank. But our children’s lives are worth more than their profits! Why should your children run even the slightest risk when this disease is easily detectable and curable with regular screening by a gynecologist? They shouldn’t! With the Institut pour la Protection de la Santé Naturelle (Institute for the Protection of Natural Health), we can be millions to say NO TO THESE VACCINES in our schools, NO to vaccinating 9-year-old children with a product which may not be effective and is potentially dangerous, even deadly. If millions of us sign, the authorities won’t be able to ignore us, but to reach this figure, each of us must sign this petition immediately and circulate this appeal as far and as wide as possible. Dr. Bérangère Arnal, OB-GYN and mother of 13-year-old Eve, has stated that her daughter will not receive the HPV vaccine but will be informed and regularly screened if necessary. This is the advice I give to all families. In high-risk populations, regular Pap smear tests every three years has resulted in a 70% reduction in the cervical cancer mortality rate, but this information is concealed from the general public. The (of course very profitable) target of the lobbies is to vaccinate all schoolgirls before then vaccinating young boys of the same age, as soon as possible, and to make the vaccination mandatory in French schools. We do not agree with these objectives which we deem to be “false public health”. We can make them withdraw this plan by saying NO to this abuse, along with millions of others. But to achieve this, every responsible French citizen must circulate this petition as far and as wide as possible. I am therefore counting on all of you to sign the petition and to send it as soon as possible to all of your contacts. Thank you from the bottom of my heart, in the name of our children’s health. § If necessary, the starting age for vaccination of both young girls and young boys would be lowered to 9. § Until we can be assured that such widespread vaccination will not cause a drop in Pap smear screening, the only proven method of preventing cervical cancer.